1. Cut bread into cubes, about 1″x1.″ Heat three tablespoons tablespoons of Pasolivo California Blend Extra Virgin Olive Oil olive oil in pan and toast bread at medium-heat, tossing frequently and adding more olive oil if needed, until golden brown. 2. Slice heirloom tomatoes into wedges, slices, quarters – whatever you think looks pretty. Gently toss with croutons. Arrange tomatoes and bread on 4 plates. 3. 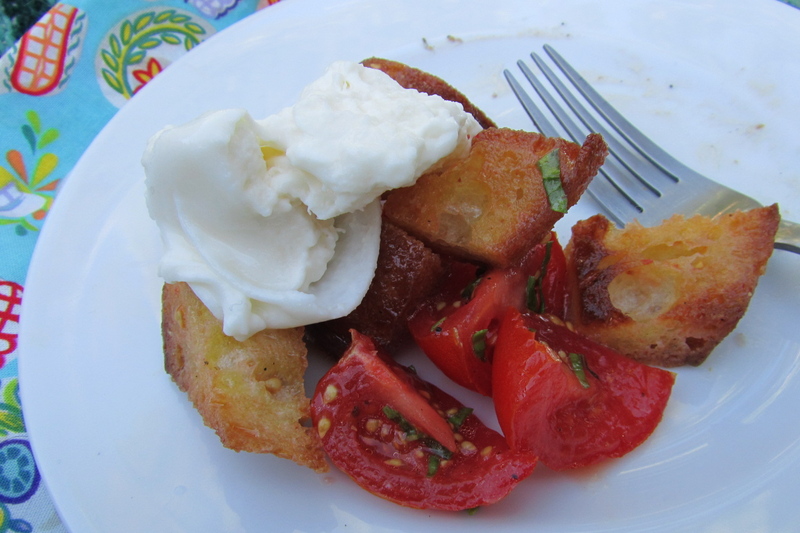 Sprinkle with basil and top each plate with a wedge of burrata. Drizzle with California Extra Virgin Olive Oil and salt and pepper to taste. 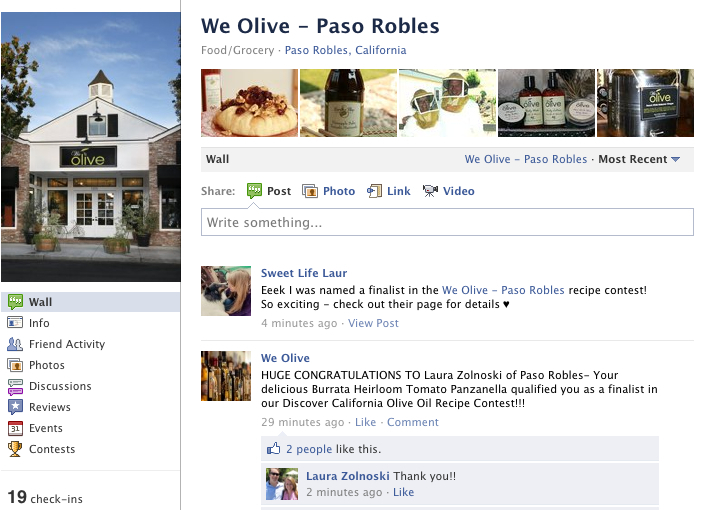 This entry was posted in cheese, salad, Sweet Life Laur Original, vegetarian and tagged burrata, contest winner, heirloom tomato, olive oil, panzanella by Laura Zolnoski. Bookmark the permalink.